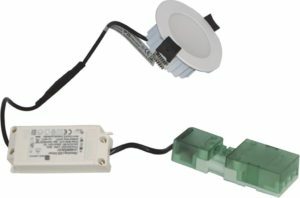 Red Arrow’s range of high performance, dimmable 8W LED Fire Rated Downlights is available in Flush or Recessed versions. 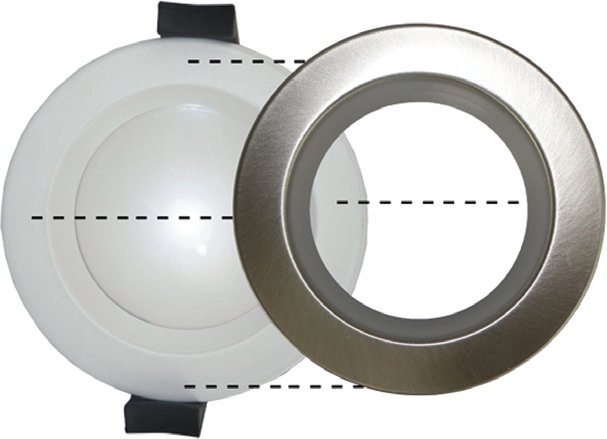 The downlights meet all the required standards to ensure safety and compliance. The range is also acoustic rated which ensures noise is restricted between floors and rooms. This 100 lumen per watt downlight is an energy efficient high power light source which reduces the number of fittings required. The 90º beam angle gives a wider light spread which also reduces the number of fittings required and provides a less cluttered ceiling. The IP65 rating makes this product suitable for use in bathrooms, meaning a consistent fitting throughout. The low profile bezel – now available in chrome and satin chrome – ensures the product sits flush against the ceiling and provides a modern look. The Frosted Diffuser reduces glare and provides pleasant and ambient mood lighting. The range also offers a slim body and space saving design that can be installed in space restricted ceiling voids. The entire range is dimmable with the ability to control the light output. The downlights also include a Quick Click Connector which saves time on installation and de-skills the second fix installation.